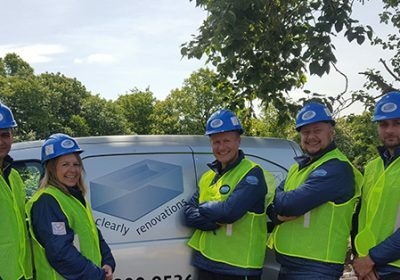 Clearly Renovations Ltd are always trying to find opportunities to support and promote the Considerate Constructors Scheme. 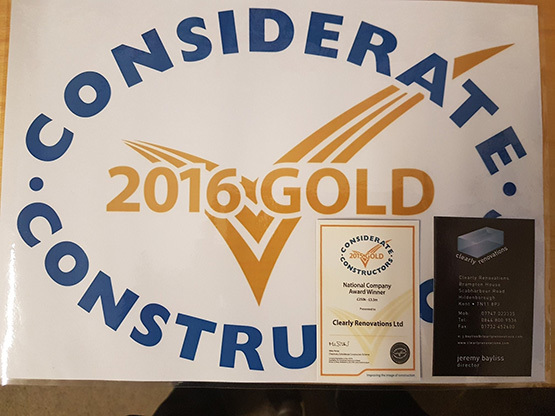 When we won the 2014 Silver award we thought it would be a good idea to take an image of the award and reduce it and install on the back of our business cards. We did this in 2014 and then again when we got Gold in 2015, having now won a Gold award for the 2nd year running we will continue to promote the Scheme and the award on the back of every business card we use. This means that when we introduce ourselves to our clients and suppliers and all our other contacts they instantly see that we have won a Gold award. 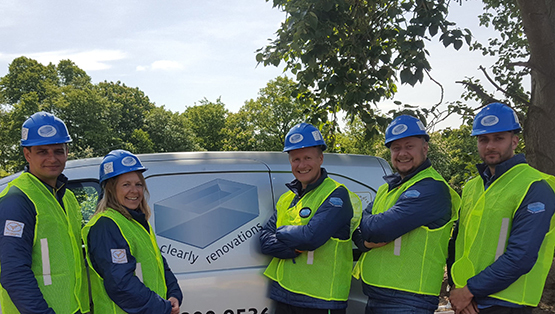 This makes a very good first impression and has been very beneficial for business and it also promotes the Considerate Constructors Scheme at the same time. Now we have taken it one step further and provided our workers with all-year-round jackets that have been embroidered with our company logo as well as the CCS Company Award Winner logo to promote our achievements with CCS as well as our company. We have also added CCS stickers to our hard hats and on all our company vans.